Girdling roots wrapping around tree and causing early fall coloration in the crown. roots were exposed with an Air Spade and pruned to increase health of tree. Girdling roots are roots that wrap around the trunk of the tree just below the soil surface. If unnoticed or uncorrected they will strangle the tree to the point of death. Volcano mulching. 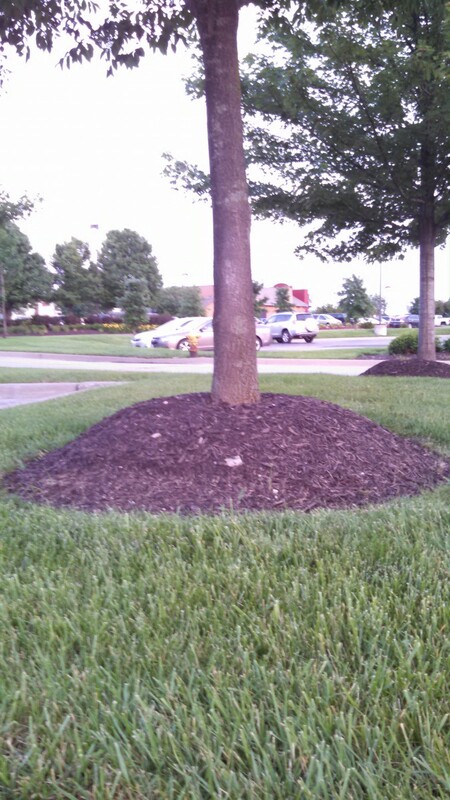 Mulch should be kept away from the trunk of the tree and placed no deeper than 2-4 inches. Failure to remove wire cage and burlap on balled and burlapped trees. 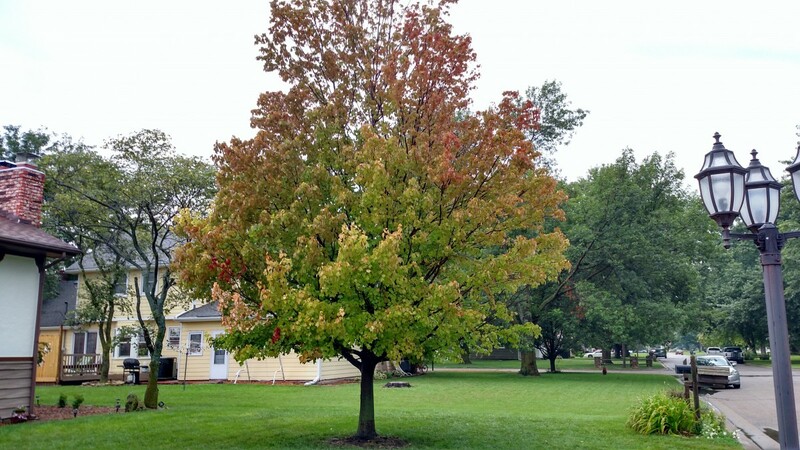 Tree with early fall coloration due to girdling roots. Prevention is the best treatment for girdling roots. If girdling roots occur Wellnitz Tree Care can expose roots with an Air Spade, and properly prune girdling roots away from the tree. 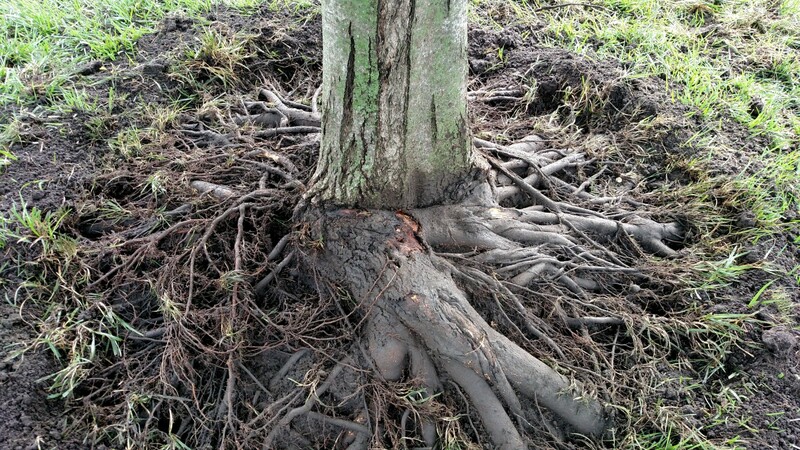 If girdling roots are severe enough that they cannot be corrected without causing significant to the tree, the tree’s stability is compromised and should be removed. If you have concerns about a tree contact us. We would be happy to come take a look.